Five Star is happy to announce the launching of our new Doctor friendly customer portal! We know and understand that your time is important, especially in today’s fast paced marketplace. Whether right or wrong, technology has changed the way we all do business forever. The speed of information available at our fingertips today has changed the way business is done. We at Five Star realize this and want to be as efficient as possible for our doctors. We are now happy to introduce our new user-friendly customer portal to help our doctors get any info they need with a few clicks of a button! No longer will you have to call in frequently for any minor questions you need answered and have to wait to get an answer back. Instead you can register with our new portal and be able to find all info you need for your practice! — View all your cases and see case status, make comments to Five Star on each case if you have any specific requirements, and you can even set up alerts and notifications if you want to be informed when a new case is entered/invoiced/put on hold. The alerts and notifications can be specified as well, whether that be via an email alert, or even text alerts in real time. Also if you want an alert at the end of the day that is also an option via an email or text message. 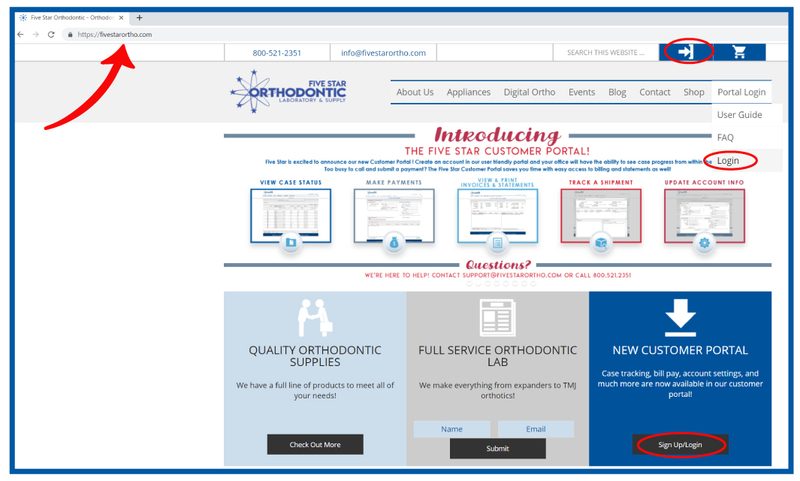 To register, you will need to visit fivestarortho.com, then click on ‘Login’ under the ‘Portal Login’ tab to sign up and get registered. You will be sent to our portal site and once there you will click the ‘REGISTER’ button at the top left. Fill out the six fields with your practice’s info and you will be ready to go! We’ve included a user guide on our site to help walk you through the process and we’re always here to help! Contact us at 800-521-2351 and ask for Jake if you have an issues getting set up. ● NOTE: In order to register, you must have an account established with Five Star Orthodontic Laboratory & Supply. To establish an account, please complete the New Account Form and email it to beth@fivestarortho.com. We will then contact you to complete your account setup. Do you have trouble with patients being compliant with hygiene? 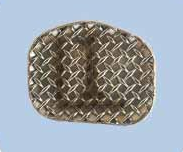 Are you tired of seeing decalcification around your brackets during treatment? 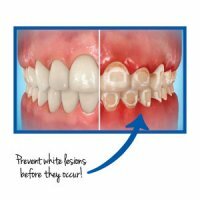 Are you tired of seeing discoloration of teeth as a result of poor hygiene during orthodontic treatment? Well Five Star has the solution for you! DenteShield™ is an orthodontic bond and sealant that contains Seldox™ technology. DenteShield™ is a selenium based antimicrobial agent that is safe and has been FDA approved. Seldox™ is a selenium based antimicrobial agent, and has a patented formulation of organic compounds that are proven to inhibit bacterial growth. Selenium is safe and is a naturally occurring element that is non-toxic, and the amount within the product is minimal and won’t hurt you. Clinical tests show significant reduction or elimination of demineralization, which are commonly known as white spot lesions, around orthodontic brackets with teeth treated with Seldox™ technology. Seldox™ technology creates a blanket of protection on the teeth just like a sealant would. When bacteria attempts to colonize on the Seldox™ surface, bacterial growth and plaque are significantly reduced. 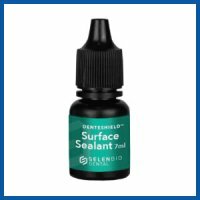 Surfaces treated with Seldox™ remain cleaner due to less bacterial growth and plaque accumulation on the tooth. DenteShield™ can replace your current orthodontic bond resin. You can use it as your bond and don’t have to add any other bonding agent in addition to it. If you are happy with the bond resin that you’re currently using, you can use this in addition to your resin already in use. Simply apply DenteShield™ first, cure it, and then apply your bond resin on top of that if you choose. Five Star is proud to introduce its new line of Memory Gear upper expanders! These expanders do not require any patient compliance and they are self-activated to expand upon delivery. The Memory Gear expanders are designed with individual leaf springs in the middle of the gear. Each leaf spring equals 1 ½ mm of activation. 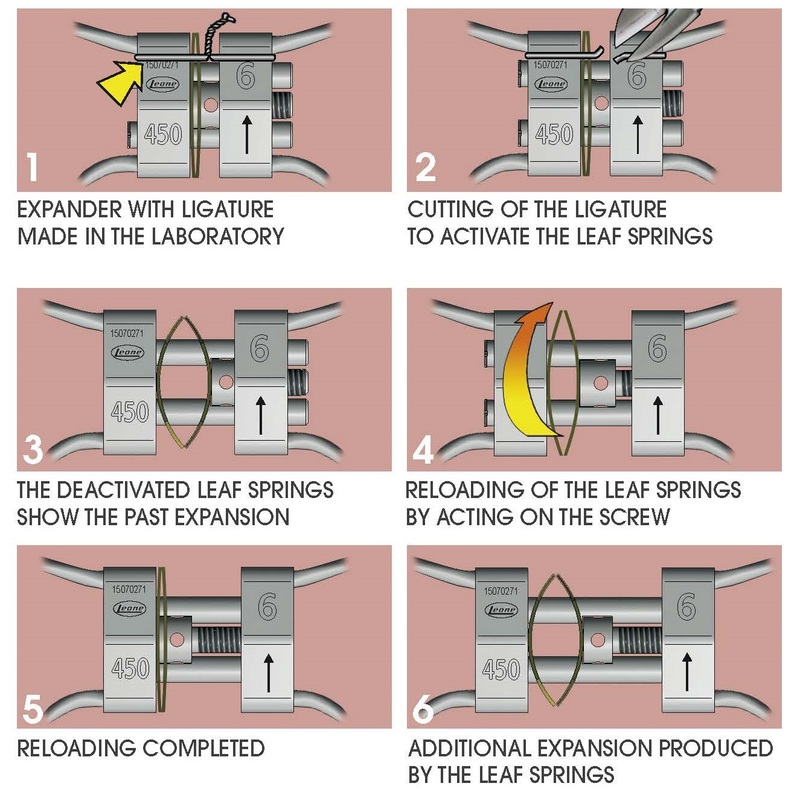 The leaf springs are compressed when received back from the lab and will continue to expand 1 ½ mm per leaf. When you receive the appliance back from the lab, it will be held together with a metal prong tool. Deliver the appliance with the tool in place, and then remove the tool and the gear will be activated. There are 2 styles of memory gear expanders we have to offer. The first is called the re-activation memory gear. This will expand on initial delivery in the mouth, and then can be re-activated for any additional expansion. There are 2 sizes, one will expand 3 mm upon initial delivery, and the other will expand 4 ½ mm upon initial delivery. It then can be re-activated to expand an additional 3-4 mm. When it is first delivered in the mouth the expander will be active for approximately 2 months. After 2 months has passed, you can re-activate the gear for additional expansion by turning the gear like you would a normal RPE. Each turn on a memory gear expander is .1 mm, which means for every 10 activations you will load the appliance 1mm. The 2nd style of memory gear expander is fully self-activating. It will look the same when it comes back from the lab held together with a metal prong. Then simply remove the tool and the appliance will be activated. There are also 2 sizes of the self-activating memory gear. One is 6mm and the other is 9mm. You will get full expansion of each gear upon activation. If you do not require that amount of expansion, you can deactivate the gear by placing flowable composite over the springs. Click here for activation instructions! Click here to view all our expanders! Five Star is proud to introduce our lowest profile self-ligating bracket system, the Nova Brackets! The ultra smooth surface and rounded corners provides exceptional patient comfort! The door is designed with a 90-degree clip slot that provides a secure locking mechanism, and is simple to open. Simply place the Nova self-ligating tool into the slot and twist to open. The bracket can then be closed with the tool or your finger. 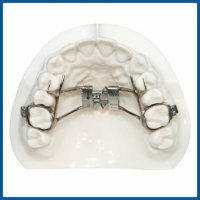 Nova Brackets come with ball hooks in the cuspids and bicuspids, and also have an available hook slot in each bracket. This is great for sliding mechanics with self-ligating brackets, and it’s also good if you have to place anterior box elastics. Therefore rather than placing a koby hook, you can just place a ball hook into whichever bracket you need. Each bracket is also color ID’d on the distal gingival wing, and is provided with a laser-marked base that tells you which bracket is for which tooth. Click here to check them out today! Triad Gel is a great alternative to bracket adhesive for occlusal buildups/incisor blocks. The pink color of the resin makes the bite turbo easy to see during placement/removal and its transparency shows the occlusal surface through the turbo. Triad Gel typically costs much less than bracket adhesive. Its best to keep this product in the refrigerator until right before use to keep a thick viscosity for easy molding and longer working time. The easiest way to add occlusal blocks with this product is to wipe tooth with cotton roll or a 2×2, air dry tooth thoroughly, apply Transbond plus self-etching primer (Lollipop), gentle air burst 1-2 seconds, apply Triad gel to occlusal surface of tooth & use the micro-brush from the Lollipop to form the occlusal block, then light cure. It may be necessary to air cool the Triad Gel because it warms up during the curing process. You can always adjust occlusal blocks with a hand piece for patient comfort. If you need to add to the occlusal block simply air dry, apply Lollipop, add Triad, shape, and light cure. Click here to order Triad Gel! Click here for more info on Transbond Lollipops! 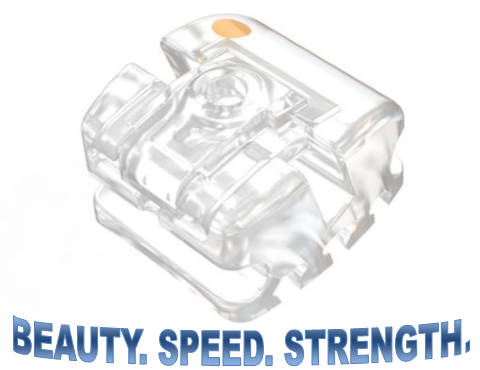 The Ascend SL™ Brackets are the newest innovation to self-ligation. Manufactured with the latest in hybrid ceramic and laser technology, Ascend SL™ is a hybrid polymer which is less brittle over standard ceramic brackets. It is also metal free and offers a true balance of strength and durability to deliver brilliant full aesthetics. Ascend SL™ has reliable mechanical retention for bonding, repositioning, & debonding. Fast and efficient treatment is achieved through ultra-low friction and optimal sliding mechanics. Opening and closing is also effortless in supporting quick wire changes with no special instrument required. Ascend SL™ is smooth with fully polished surfaces for exceptional patient comfort which adds to the long list pros of this beautiful bracket. The Five Star Mega wires are an excellent choice with this self-ligating system to achieve that broad Hollywood smile. 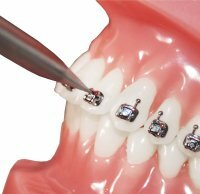 We also offer a full line of aesthetic wires, open coil, ligature ties and koby ties to compliment this beautiful bracket system. Also, don’t forget to add your stop locks or crimpable stops to prevent wires from shifting while using a self-ligating system. Five Star recently hosted a webinar with Dr. Brock Rondeau on Treatment of Temporomandibular Joint Dysfunction and how it can improve the overall health of your patients. Check it out below and CLICK HERE to take a 10 question test to receive 1 hour of CE for free! Five Star recently hosted a webinar with Dr. Brock Rondeau on Early Orthodontic Treatment and how it can improve the overall health of your patients. Check it out below and CLICK HERE to take a 5 question test to receive 1 hour of CE for free! What Can Bioliner™ Plus Do For You?